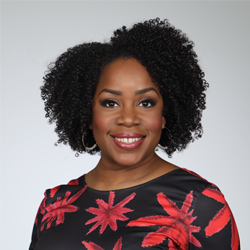 Kimberly Atkins is a senior news correspondent for WBUR, covering national political news from Washington, DC with a New England focus. She is also an MSNBC contributor, providing on-air analysis and commentary of the national political news of the day. Before joining WBUR, Kimberly served as the Washington bureau chief at the Boston Herald, focusing her coverage on the White House, Congress, the U.S. Supreme Court and national news. She has appeared as a political commentator on a host of national and international television and radio networks, including CNN, Fox News, NBC News, PBS, NPR, Sky News (UK), and CBC News (Canada). She also previously served as a guest host of C-SPAN’s morning call-in show “Washington Journal,” where she interviewed lawmakers, public policy experts and journalists about the issues on Capitol Hill. Kimberly was previously Washington bureau chief for the Dolan Company newspapers, a group of legal and business publications, where she focused primarily on covering the Supreme Court. She has also worked as a reporter at the Boston Globe and the Journal News in Westchester County, New York. Before launching her journalism career, she was a trial and appellate litigation attorney in Boston. Kimberly is a native of Michigan, and a graduate of Wayne State University, Boston University School of Law and Boston University College of Communication, and the Columbia University Graduate School of Journalism. Kimberly will be part of the panel “Covering an online president: White House press corps in the age of Twitter” on Saturday, April 13, 2019 at 4:45 p.m.